Do you like synergies and tutoring in your EDH deck? Come on, really who doesn’t? Well sit back enjoy the ride as I tell you the glories of card called Skyshroud Poacher. This guy in all honesty should be the poster child for Magic the Gathering and Sci-Fi nerds around the globe. He loves to play games, enjoys yelling as he commands and dominates lesser beings, and as a result of that hangs out with many a cool elf. What more could you want? Skyshroud Poacher has gained my whim and fancy many times over an is indelibly tied to my favorite Magic card of all time. Do you remember when you first laid your eyes on your favorite Magic card? At this point I will queue the dreamy chimes and blurry fuzzy waves to flashback to days of yore to share with you a special memory. I was lucky enough in my younger life to land two of the most sought after and envious jobs a young man can have. Those being slinging cardboard at a card shop (mostly sports cards) and hanging out listening to tunes behind the counter of a CD store. The events of my discovering my most beloved magic take place unsurprising at the card shop. The year was 1997, the Hale-Bopp comet was making its closest approach to Earth ready to pick up track-suited cultists, Billy Crystal hosted the Oscars, and Deep Blue had beaten Gary Kasparov in chess. These were glorious times in my formative years. 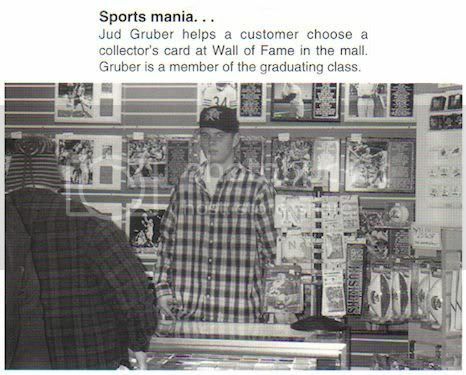 At some point during that year around 7:00 PM on a Sunday I was standing in a closed sports card store located in a closed mall. With the lights mostly off and the gate down, I was awaiting the events of the evening to commence, getting paid to learn how to play Magic the Gathering. It was decided by the jerk, I mean boss, that we needed to better understand this collectible card game we had recently started peddling to little cardboard junkie kids. It was that night that I saw my first Llanowar Elves. I immediately found the art on the card particular furious. It looked so savage, giving off the sense that it could lay waste to entire armies with one glance of its basket weaved,plumed haired , gnashed teeth, eye patched stare. The whole Conan “…crush your enemies, see them driven before you, and…hear the lamentation of their women,” thing. I reality it really did nothing with its puny stats to strike fear in the hearts of anything. After this unconventional introduction to the game I was hooked like many players have been before. It was your typical story of boy discovers game, game doesn’t provide people to play with, and boy never plays another Magic game for 11 years (Except for those few times in college when I was drunk but that doesn’t count and it meant nothing). As soon as I started re-buying cards for decks one of my foremost important objectives was to purchase Llanowar Elves. Twelve Revised copies to be exact. That card began a deep elf craze for me. I found myself playing elves habitually in every format. Many even wormed their way into the first pathetic attempt of an EDH deck. Love them or hate them those little mostly green pests are very playable, and as a tribe they can practically answer any situation. Not long into my renewed Magic career I was researching Squirrel Prison decks because what player hasn’t gone through or is still in a squirrel/Deranged Hermit phase (Article). There was a curious character that kept popping up on a lot of lists in this article. Then while watching a very old deck tech by Magic’s own Zac “Chatter of the Squirrel” Hill the card appeared again (Video). Now what I am going to say is nothing ground breaking, super secret, or some amazing tech that only I of infinite patrician wisdom could possibly lay upon the EDH plebs. You see there is an angry cantankerous creature that glows green and puts elves into play from your deck, Skyshroud Poacher. Big deal, just some overcosted 2/2 without haste that puts elves into play from your library and dies to everything right? There is nothing inherently broken with the card other than it has a decent ability. With the way Wizards of the Coast have been printing new creatures rich with game changing abilities there really is not a reason to bother with it…right? Hopefully I can shed some light on the playability of one of my favorite glowing green rebels. With EDH being a singleton format the environment is rich with tutors, tutor engines, and synergies that generate card advantage in an attempt to easily access answers and make a deck more consistent. Let us forget about straight up tutors and focus on in deck tutor engines that people play. There are cards like Ranger of Eos, Imperial Recruiter, Trinket Mage, Treasure Mage, Sun Forger, Totem-Guide Hartebeest, Auratouched Mage, Stoneforge Mystic, Sovereigns of Lost Alara, Stonehewer Giant, Steelshaper Apprentice, and Taj-Nar Swordsmith that immediately come to mind with packages of cards in deck to go fetch. With a lot of these cards, especially the more specific ones, I have seen as little as two to three targets they can fetch. Having played with Skyshroud Poacher in decks that are not dedicated elf tribal the numbers of tutorable targets don’t need to be particularly high. I have played with as little as five elves. Since most green/x decks already have a few finding a few just a few more slots for cards you could tutor should not be much of an issue as long as they are still playable. Playable elves are everywhere and cover several card archetype genres. The clear number one defining characteristic that comes to mind with regards to elves is mana and mana ramp. It is a major part of what they do. Elves in sanctioned formats are almost always combo decks carried on the back of their explosive mana production and cheap CMC. A majority of your mana producing elves either tap for mana or fetch lands. There are, although, a few exceptions. Bloom Tender, Joraga Treespeaker, Rofellos, Llanowar Emissary, and Elvish Aberration are easily the best possible options. There are plenty of less efficient elves that tap for mana but for all intents and purposes these are the top of the food chain so to speak. Wood Elves, Farhaven Elf, Yavimaya Granger, and Quirion Trailblazer are you choices for elves that enter the battlefield and put a land into play. Sylvan Ranger and Civic Wayfinder will put basics to your library into your hand. Last of the more playable land fetchers is Frontier Guide who taps for four and fetches a basic land form you library on to the battlefield tapped. Oracle of Mul Daya lets you play additional lands per turn, and in a more diminished way Skyshroud Ranger does the same. Other prospective mana elves are Keeper of Progenitus for mana doubling, or Argothian Elder to untap a land. Tutoring in EDH allows for easy access to answers, more consistency, and in essence advantage. The next best thing to tutoring is drawing cards, and depending on whom you ask card draw may be even more important. Elves can do both of these things fairly well. When they aren’t mono-green many of the possible candidates tend to lean towards green/blue in color. The closest thing elves have to straight up tutors are creature tutors. The most efficient of these are Fauna Shaman, a Survival of the Fittest stand in, and Fierce Empath, a creature tutor for CMC six or great. In more deck specific applications Momir Vig, Simic Visionary is another viable option for tutoring. Probably the most obvious elf that comes to mind that draws cards is Elvish Visionary but the applications for it in EDH are mostly nil. Masked Admirers is much more playable and has a built in recursion ability. The most practical elf card to facilitate massive card draw is Edric, Spymaster of Trest if you are in the colors and do not care that your opponents can and probably will take advantage of it as well. Another card, Sages of the Anima, can generate a vast amount of card advantage if your deck is built to handle it. Also Momir Vig, Simic Visionary’s other ability allows for drawing. Elves in a tribal sense are extremely efficient at creating token and creature pump advantage. When you are not playing devoted elf tribal synergies that facilitate tokens and pumping choices are a little bit more limited. That being said there is plenty of potential for them outside of elf centric advantage, providing various cards that do not need other elves in order to be effective. Tokens and power/toughness boost overlap heavily in the green/white color pair and is reflected heavily. If you need a small army quickly Deranged Hermit is your man, and has a built in kill switch for graveyard tricks. Slower but still effective, Imperious Perfect, Selesnya Guildmage, and Rhys the Redeemed can steadily build your forces. Rhys has the added bonus of doubling all your tokens. The last real playable elf that can generate tokens is Nath of the Gilt-Leaf who not only provides little green men but also disrupts your opponents’ hand. There are plenty of elves that pump to choose from. Hands down the best pump elf is also the best pump creature of any tribe, Mirror Entity. After everyone’s favorite changeling there are Tolsimir Wolfblood and Wilt-Leaf Liege granting static color specific pumps. Much like Momir Vig, Selesnya Guildmage has two abilities that work nicely with each other and in this instance the pump second ability works in tandem with its token generation. The last two elves in this category I separated since their pump ability is more overshadowed by there usefulness in other ways. Golgari Guildmage was a great creature years ago supplying a gravedigging sacrifice outlet, and a pump all in one creature. Its usefulness is more in the sacrifice ability and resetting persist creatures, although in a sense it does pump. The other elf I will include in this is Seedcradle Witch which pumps a creature but can be abused much more as a untap enabler. Another thing that elves are particularly effient at is making artifacts and enchantments go away. Any horde type creature based deck shouldn’t have a problem finding a use for Nullmage Shepherd, and its repeat ability can be particularly devastating to opposing boards. The other elves are more specific as to what they can destroy and either do so when they enter the battlefield or sacrifice in play to so. Artifact destroyers include Elvish Scrapper, Glissa Sunseeker, Viridian Corrupter, Viridian Shaman, and Viridian Zealot. While those that destroy enchantments include Elf Replica, Elvish Hexhunter, and Elvish Lyrist. There are also a handful of other elves that can provide other useful effects. Many of which tend to not have equals. Elvish Piper and Norwood Priestess cheat creatures into play. Essence Warden for gain life. Gamekeeper can act as a creature cheat when set up correctly. Savra, Queen of the Golgari for creature disruption and life gain. Glissa, the Traitor for artifact recursion. Steel Leaf Paladin to bounce a creature you control. Riftsweeper to return a card from exile. Seeker of Skybreak to untap a creature. Also any of the other Changelings are ripe targets if you have them in your deck. The ones that champion are particularly good at saving creatures from removal. There are obviously hundreds of elves in magic, and I am not going to go through the tedium of going through each one. Instead I have amassed a smaller list of elves that I have played, considered playing, or that possess potential. This is not a definitive list by any means. I am sure there potential options that I left off, so by all means if you are at all interested in Skyshroud Poacher I encourage you to search up your own candidates for inclusion. I have included Skyshroud Poacher packages in many different decks. Most of my experience falls solely in the green/white, or green/white/x decks. Without considering specific deck archetypes and strategies my usual poacher package includes some combination of these cards: Bloom Tender, Joraga Treespeaker, Rofellos, Llanowar Emissary, Wood Elves, Oracle of Mul Daya, Mirror Entity, Fauna Shaman, Fierce Empath, Nullmage Shepherd, and Elvish Piper. Then depending on additional color options and tactics there are a vast spectrum of elves to cherry pick from. An additional bonus to poacher is that if you general happens to be an elf you instantly have an anti-tuck card. For an additional degree of difficulty/fun try adding a Captain Sisay legendary creature package with some overlapping Skyshroud Poacher targets. 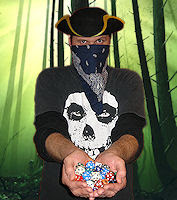 Hopefully I was convincible enough to plant a seed of possibility for playing Skyshroud Poacher. He doesn’t break the game, but provides a solid advantage engine. Plus look at that art. Dude is ripped. I thought I might share my posse of Skyshroud Poachers I bring into battle. After a bit of looking around I swear I had more copies but three copies is all I could fins. Evidently I am trying to portray myself as that guy who plays only foreign versions of cards even though that is pretty far from the truth. They aren’t even foil. I can not lie though, Wolkenwaldwilderer and Cazador furtivo de Veloceleste are both pretty fun to say and confuse the hell out of people.